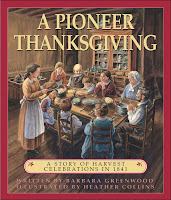 With Thanksgiving less than two weeks away, I am finally pulling out our books about Thanksgiving as well as ordering a few from our library. I wished we owned this book, but thankfully it is still available at our local library. You can find a great lap book to go along with it over at In the Heart of My Home! Update: Hardcover Edition, Republished in 2012 and added to our collection! When I was browsing through Honey for a Child's Heart, I noticed this book. 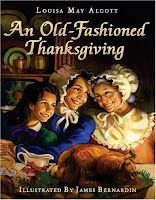 Being written by Louisa May Alcott, I was surprised I had never read it before! 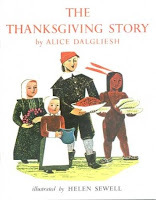 The description reads, "The seven rambunctious Bassett children decide to cook their own Thanksgiving dinner after their parents leave to tend a sick grandmother. Minor catastrophes and understandable chaos add to the charm of this rediscovered family classic. 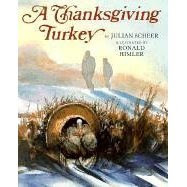 It is sentimental and perfect for the holidays." I can't wait to read it!!! 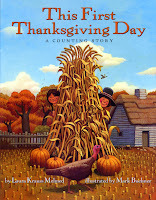 If you have a moment, I would love to hear about any of your favorite Thanksgiving books! Maybe our library will have them, and we can check them out too! Great post, Jessica! I would love to read these books to the kids. Thank you. I hope you have a great week. so many of the same books are being read here. Great Minds I say!!! I always love book suggestion posts the best. I only had two of those books in my Thanksgiving basket, so I went to check to see if my library had any available. Of course they are all checked out by now. I'll make sure to make a note of them for next year, though. i love these suggestions, Jessica! I love these Suggestions. We plan on reading some of these books to are kids. Thanks Jessica. Hope you are feeling better. I am a little under the weather myself not much fun. God Bless You, Jessica. This is just the post I needed! I'm glad you're feeling better. By the way, I like the backgound change. Hi there! Just using this list to request for the season! They were all there and then some. I'll let you know how the extra ones that I requested are!